Looking for Customer Sales Executives, Quality Assurance Executives, Medical Billing Executives for a growing call center. It is a NIGHT shift job. Timings: 7pm-5am. We have the best environment and state of the art office situated in Rawalpindi. Additional bonuses are also offered on top of basic salary. Fresh and experienced individuals are encouraged to apply. If you are eager to learn and excel, then this is the place for you. 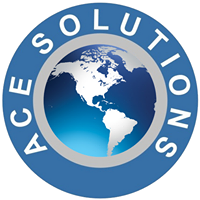 Apply now at http://acesolutionsbpo.com/#Career. For further details, you can also contact 0311-5473447.